Islamabad:Pakistan has deferred signing the second phase of Free Trade Agreement (FTA) with China at the last moment due to strong reservations over the final offer list shared by Beijing, signaling the straining bilateral relationship between the two countries. "The agreement was almost ready for signing when we conveyed our reservations to the prime minister about the final list of concessions that Beijing shared at 11pm,"reported the Express Tribune, quoting, Minister of State for Finance Rana Muhammad Afzal">Rana Muhammad Afzal, as saying. Both the sides were scheduled to sign official minutes of the meeting at the end of the talks but it could not happen on Monday night. According to the report, the decision to delay the agreement was taken after the business community of Faisalabad - Pakistan’s textile hub - voiced serious reservations about the Chinese final offer list. 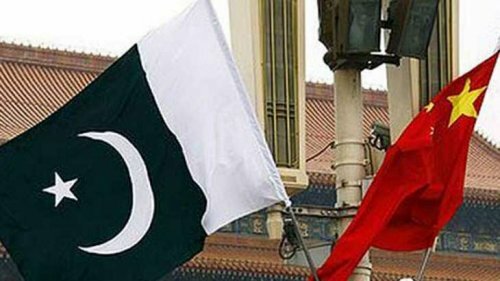 Pakistan and China began the 10th round of negotiations on renewal of an FTA in Islamabad on April 2. This was supposed to be the final round following which both sides were to sign the agreement, several media reports stated. The negotiations were led by Pakistan’s Federal Secretary for Commerce Younas Dagha and China’s Vice Commerce Minister Wang Shouwen. Furthermore, Pakistan’s Commerce Industry revealed that it would offer zero duty on 75% of imported tariff lines prompting fierce resistance from Federal Board of Revenue. Under first phase of the FTA, Pakistan granted duty concessions on 35per cent of tariff lines, which resulted in an inundation of the Chinese goods which further crippled the local industries. Under the second phase, China was seeking certain concessions which Pakistan was not willing to grant. Pakistan and China started negotiations on the second phase of the Pak-China FTA in 2011 and the first FTA came into force in November 2006. At the moment, Pakistan’s major exports to China include raw materials and semi-finished textile goods like cotton yarn, skin.